Merthia Lee Jackson, daughter of George Donahoe and Charity Walker, was born January 18, 1931, in Coldspring, Texas, where she grew up attending church and the local schools, graduating from Lincoln High School, at 16. 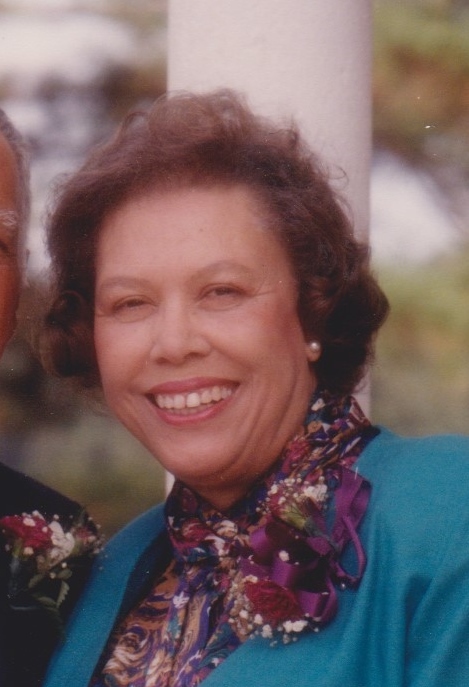 She married David Jackson and together they raised a family and ran a few local businesses. She also returned to school to get a nursing degree, which she put to good use for decades, keeping the family and friends healthy on and off duty. She enjoyed many interest and hobbies, but her favorites were spending time with family, fishing, quilting and sewing. She was a member of Laurel Hill Missionary Baptist Church. On March 18, 2019, “Mrs. Mert” departed from this life. She is preceded in death by her husband David; father, George; her mother Charity; brothers Lonzo and Douglas Donahoe; and sister, Addie Oliver. She leaves to mourn, but carry on, her daughter, Julia; sons, John (Jimmie Lee) and Douglas (Sheila); sisters, Clydie Donahoe and Mary Manning; brother, Calvin Johnson; sister-in-laws, Dorothy Donahoe and Donna Sue Jackson; grandchildren, Sonia Bradford (Calvin), Tiffany Jackson, Joshua Jackson (Candice), Richard Jackson (Natilee), Estella Jackson, Derron Eldridge (Stefy), Justin Eldridge, Jeran Marie Hill (Leonard), Douglas Jerome Jackson (Jocelyn), Kendra Essary (Matthew); great-grandchildren, Jordan, Kendall, Layla, Jorga, Mia, Jeremy, Trent, Dante, Kobe, Levi, Vega, Jaylen, Jorden and Rashard; nephew, Justin Donahoe; nieces, Margie Burks (Stony), Deja and Simone Holmes and many other nieces, nephews and cousins. Visitation is Saturday, March 23, 2019, at 9 AM to 10 AM, at Neal Funeral Home Chapel. Funeral Service commences at 10 AM. Interment will follow at Laurel Hill Cemetery in Coldspring, Texas. Officiating Pastor Emmitt Chambers, Pastor James Richardson, Dr. Frank Mason, Jr., Pastor Bob White, Minister Raymond Lee. Pallbearers are: Richard Jackson, Joshua Jackson, Derron Eldridge, Justin Eldridge, Jerome Jackson, Jordan Bradford, Matthew Essery, Calvin Bradford.